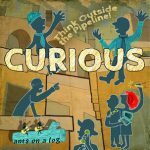 An eco-feminist musical out of Philadelphia created by Ants on a Log, called “Curious: Think Outside the Pipeline,” debuted last year at Philly Fringe Fest. It will be released in album form on April 19th, just in time for Earth Day. Guests include Kathy O’Connell of WXPN Kids Corner, 2019 Children’s Album GRAMMY winner Lucy Kalantari and John McCutcheon. 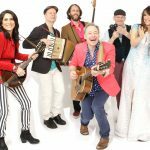 The Story Pirates, an internationally acclaimed company that takes kids’ wild story ideas and turns them into musical sketch comedy, songs, books and a popular weekly podcast, will perform full-cast shows around the country. Catch the details on their tour page. Meanwhile, The Story Pirates Podcast posts hilarious new episodes with guests like John Oliver and Dax Shepard, every week. The new book Digging Up Danger is getting rave reviews. Check out the Story Pirates cover story in the April edition of Time For Kids. Raffi is celebrating the release of his new compilation album for grownups, Motivational Songs, and the launch of his Child Honouring Course. His upcoming California shows in April are all sold out, but families in Worcester, MA, and Providence, RI, and Seattle and Portland may still grab tickets to his shows in June. Check Raffi‘s concert calendar for details. Stay tuned for more late spring release news, from The Story Pirates, Knoxville’s Sean McCollough (Earworms), and Jessa Campbell and the Saplings (Can You Feel It?) and concert news as summer 2019 heats up.